Welfare Rights Committee celebrates victories | Fight Back! 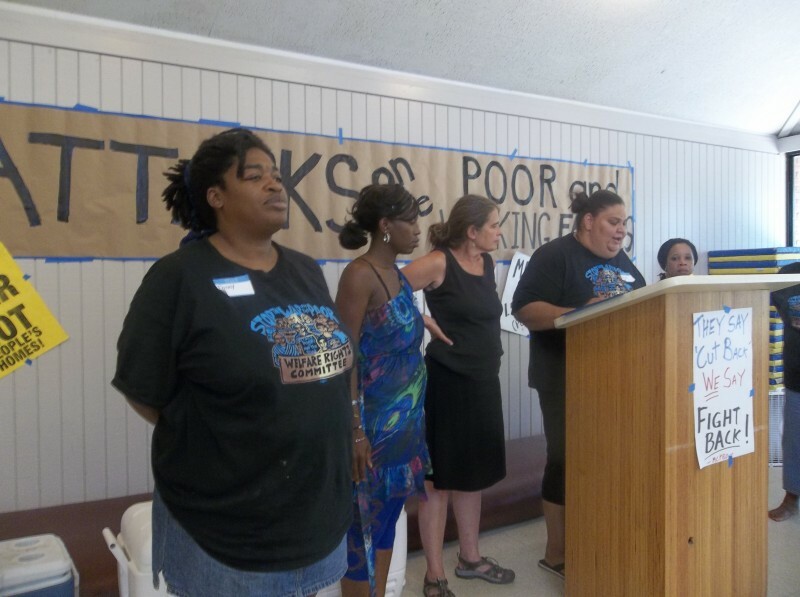 Minneapolis, MN - The Welfare Rights Committee (WRC) held an event called “Celebrate the Fight for Justice!” here, June 30. WRC is an organization of low-income families who fight attacks on poor and working Minnesotans. Speakers at the celebration recounted the battles at the 2012 legislative session, where the Republican majorities in the House and Senate attempted to pass laws that would make life harder for people and families living below the poverty level. Speakers at the celebration emphasized that the struggle waged by WRC does makes a difference. This year, they were successful in stopping most of the attacks proposed by the legislature. They stopped a move to reduce the time limit on public assistance to three years; stopped drug testing and criminal background checks of all aid recipients, and other attacks.